Are you wishing for a better and simpler life where you can spend each day as you wish? RV expert Sunny Skye shows you how you can do exactly this, even if you don't have much money. Boondocking literally means to "dock" in the "boonies," camping on your own off the grid away from campgrounds, free to howl at the moon, run around in your BVDs, or just read your book in peace and quiet with no one around. But boondocking also means you're on your own, and you'll want to go prepared. Here, Sunny Skye gives you the basics you'll need to know, things like the best rig to have, being independent, coping with boredom and loneliness, as well as dealing with insects, wild animals, and pests. Start your journey toward road travel freedom today. Get this audiobook on RV living and RV boondocking to experience the off-the-grid lifestyle you've always wanted. Do you want the independence, freedom, and flexibility associated with RV living? This audiobook could help you achieve that.... Look no further, you’ve come to the right place to get your questions answered! 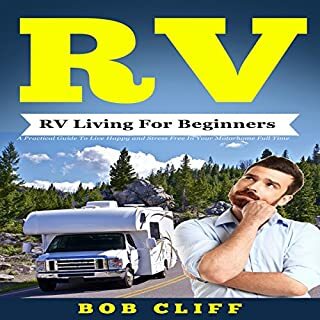 This audiobook covers the essentials when it comes to RV living so you can create an experience that will resonate with you for years to come. So join us on this journey to a new, stimulating way of life that will energize and surprise you in ways you can’t yet imagine! Have you ever wondered what campground hosts really do, other than hang around and shoot the breeze with everyone? Ever wanted to try it out? Sunny Skye, RV meistro par excellance, reveals the tricks of the trade, which are mostly just a combination of patience and earplugs. She'll have you laughing, shaking your head at human behavior, and wondering if those hikers she gave directions to will ever find their way back to camp. And then there's the story of Bunnicula, the bunny who crashes the campground...well, we won't spoil it, just read it for yourself. RV Living Full Time will help you transition smoothly from a boring life at home to the adventure of a lifetime on the open road. At first, it may all feel overwhelming, but this audiobook will help get you properly prepared for the next big chapter in your life. Full Time RV Living is a Dream to me! RV living is growing in popularity as more people hit the road to travel in a different kind of way - by bringing their mobile homes with them everywhere that they go. Sure, you could buy a ticket and hop on a plane to your next destination, but what's the fun in that? Touring on the road, making little stops along the way that are off the beaten track sometimes, and exploring places you ordinarily would have missed, that's the real adventure that brings so much allure to life on the road living in an RV. 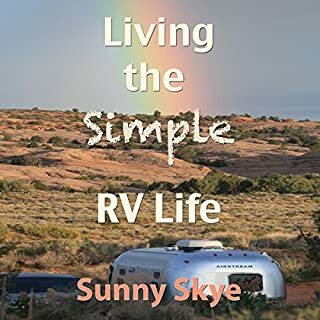 It's a rich and rewarding world, one with never a dull moment, and Sunny uses lots of examples to show you how to successfully take your own pets along for the ride, whether you're on a short journey or a long one, and whether you're camping in a tent or living in a luxurious motor home. This revolutionary new travel book shows everyone how to travel forever on $20 a day including food, gas and lodging. Author Jason Odom and his wife, Kelly, have traveled 700,000 miles in 19 years enjoying the sumptuous beauty of pristine national parks and the exciting nightlife of big cities like San Francisco and Las Vegas. Special offer! Simply email your receipt for this audio book to the author and you will receive the $27 full color PDF version of this book with hundreds of live links to important resources for free. Vanabode shows you how to earn a living working in some of the most exciting places in the United States, like national parks and state recreational areas (if you need income); how to sleep safely and comfortably in your own bed every night; how to eat better than you ever have; how to cook for free without electricity, fire or fuel; how to get rid of all our current debt and regain your freedom; and most importantly - how you can do it forever if you want, starting now! Would you like to know what the freedom of traveling or living inside an RV is like? Living or traveling in an RV can be an amazing experience... if you know exactly what to expect. 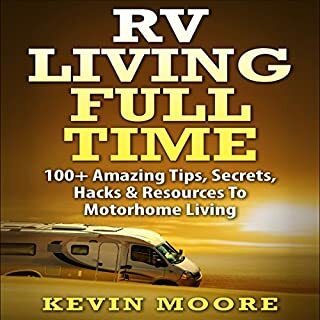 Other than following the advice inside this guide, no previous skill or specific knowledge is required to get started living the RV lifestyle. Whether you're looking for early retirement or spicing up your life with more adventures, an RV can be an excellent gateway to the freedom many crave. 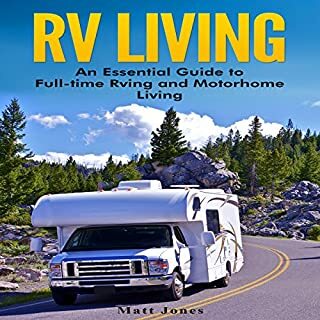 Whatever your motivation may be for considering the RV lifestyle, if you are at all curious about making the transition from homeowner or renter to full-time camper, this audiobook is for you. 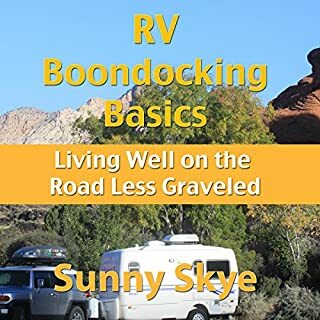 It is the absolute beginner's guide to the RV lifestyle, offering practical advice about such topics as health and safety, "roadschooling," and staying plugged in while on the road. Have you been seeking adventure? Tired of being chained down to one spot? Do you want to get back in touch with nature? Want to visit beautiful and fun locales? If you answered yes, know that it's possible when RV living on the open road. A life spent traveling and adventuring across the country often feels out of reach. Well, I'm here to share with you that it's nearer in reach than you'd think. In this book, I will share with you everything I've learned while RV living. Do you belong on the road? Would you be happier living a life of freedom, going wherever you want - north in the summer and south in the winter? But how do you get free of all the encumbrances life’s managed to trap you with? Bob Davidson lives the life he loves, on the road, and he assures you that you can get free and live your life exactly as you want. Here, he tells you exactly how he did it, and it wasn’t necessarily with a grand master plan, as some say you must have to do it right. Even if you think the RV lifestyle is just for old people or those with too much time on their hands, it's likely that the romance of living on the road has struck you at one time or another. Waking up every morning and having all of nature as your view, clocking in to work at your own schedule, or living in the open and away from it all. The freedom and endless possibilities of living in an RV have appealed to us all. You only get to live once. One life meant for a multitude of adventures, memories, experiences, and captured moments. One life to see the world for what it is, the beauty that it holds, and the simplicity it brings. RV living provides a break from instant gratification, career pursuit, and fast-paced performance. With the decision to venture into full-time RVing comes a variety of precious moments, memories, experiences, and simplicity. Life becomes true to its original purpose - living in the now. Have you been bit by the RV bug? Do you spend hours reading blogs on living the RV life, blogs that go on and on about a life of freedom and travel? Do you go to RV shows and wander through the huge homes on wheels, dreaming that you're steering one of the huge beasts to wherever your heart desires? 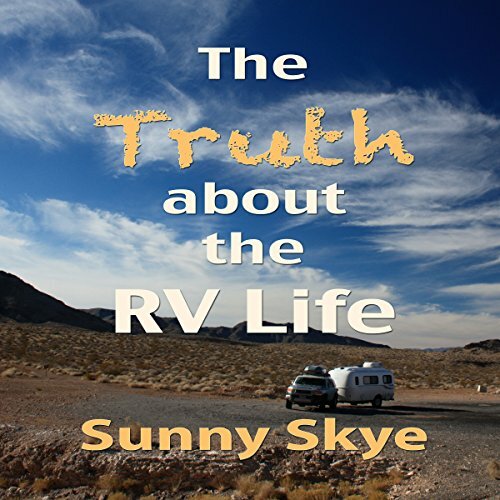 It's easy to get caught up in what RV expert Sunny Skye calls the RV hype - for example, you'll wake up every morning looking out your window at beautiful views of nature, you'll meet interesting people you can sit around a campfire with and trade foil dinner recipes, and you'll be able to travel to places you've always wanted to see. What the RV marketers don't tell you is the other side of the nomadic lifestyle coin - the mechanical problems by the side of the road, the constant searching for water and a place to camp, the uncertainty of having just anyone able to walk up to your rig in the middle of the night - well, in short, the truth about the mobile lifestyle. Sunny has been RVing since she was a kid, and she'll show you how to assess if the nomadic lifestyle is for you in an unbiased and educated manner, balancing the pros and the cons. She does this by walking you through the most common steps in the RV life. it is rare these days to find a book such as this with such accurate information, and yet contrary to 99% of published mainstream media hype including blogs, other authors, and sales people with agendas. We in the US seem to have lost the ability to discuss both sides of an issue, in this case full time RV living. But that is just what this book does in a concise approachable accessible and palatable manner. I recommend this book. It might save you a lot of money and and from making a very expensive mistake.